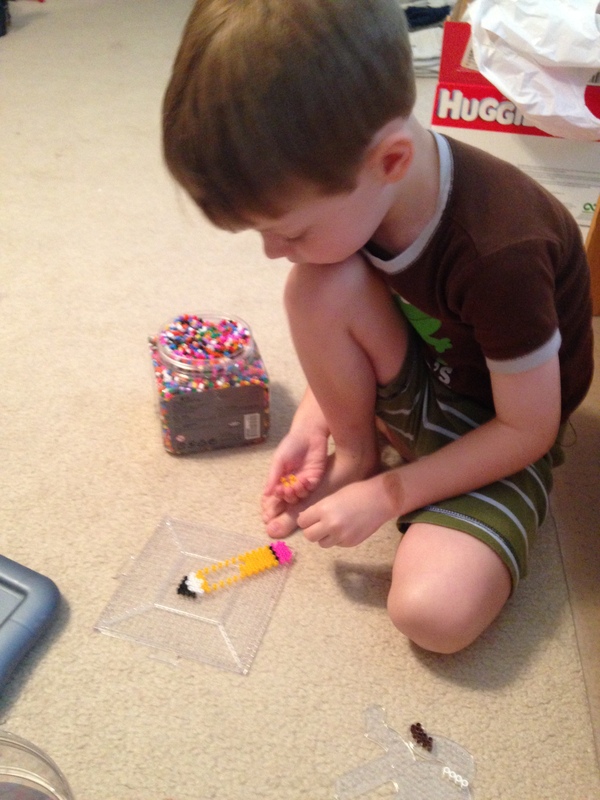 Do you find children become a bit obsessive during various stages of their life? Looking back, I remember my daughter who insisted on having her hair braided in two long braids every single day before she could go to school. If I tried any other hairstyle, or didn’t have the braids with a perfect line in the middle, there would be a guaranteed meltdown at 7AM. 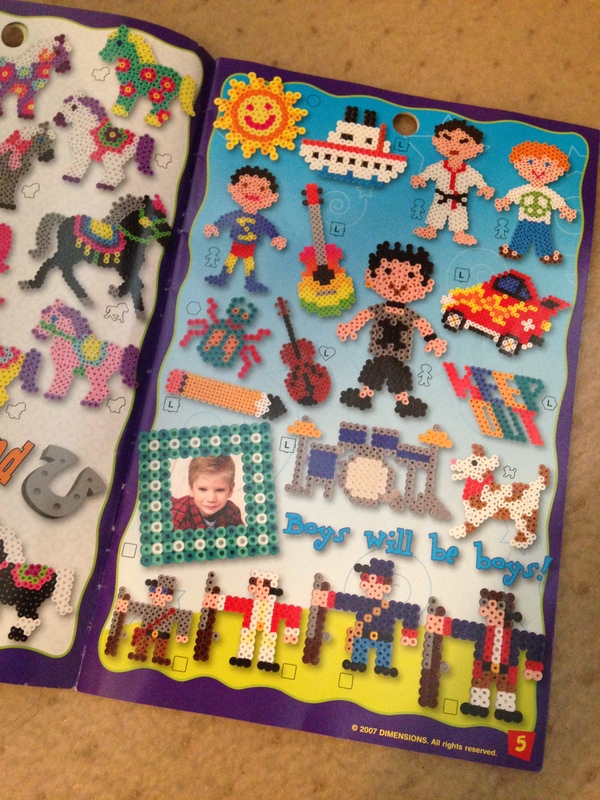 My middle child went through a stage where he refused to do a puzzle starting with the edges (the easiest way I knew); he had to start with the middle and work out. Heaven help you if you tried to work on edges first! 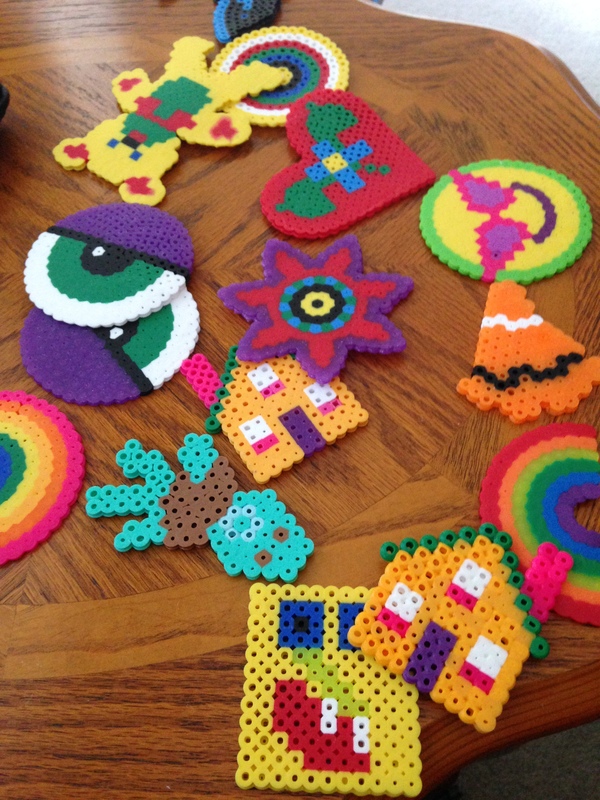 The fascination with Perler beads began when my daughter was in elementary school. We would spend hours at our art table, sitting on the bench organizing all the colors. The process of placing the beads in the grid was meticulous at best; thankfully, we both had small hands and good pincher grips. My oldest son followed in his sister’s footsteps and together they would sit creating masterpieces throughout the day. It was a time of shared passion and cemented their friendship as siblings. Sometimes when they ran out of colors they needed, they would create multi-colored shapes: a patchwork quilt of plastic, molded to perfection. My little guy is four years old. He’s just now figuring out how to count in straight lines and sort by color. Wait, that’s not completely accurate. He is obsessed with counting and sorting by color. OBSESSED! 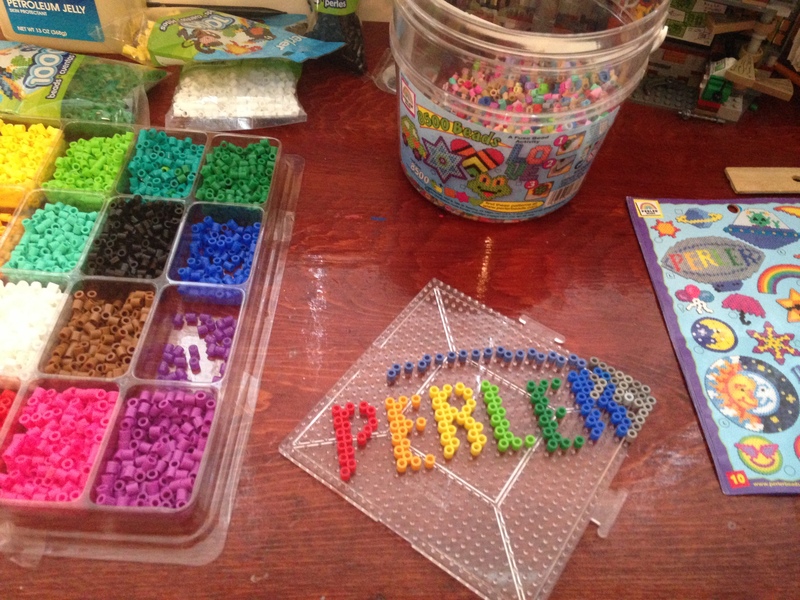 Making pictures from Perler beads takes patience and persistence. 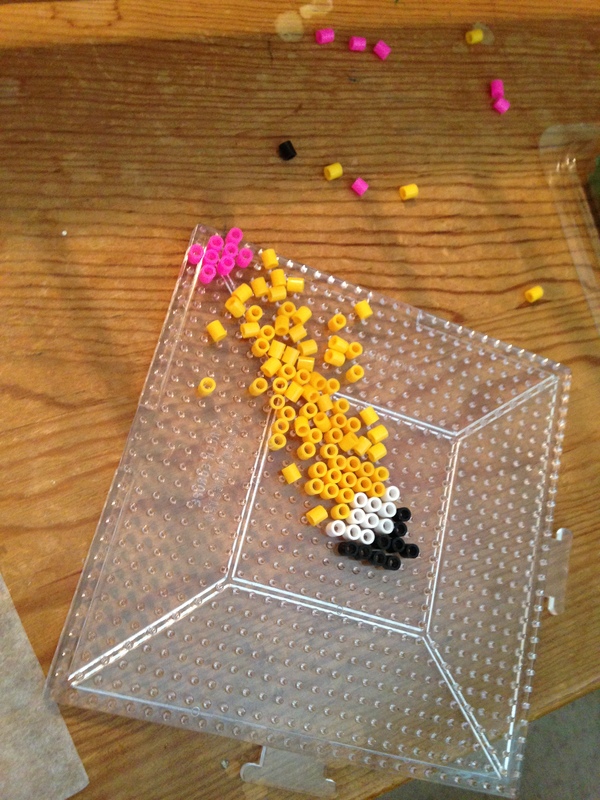 One wrong move and your entire design will become a mangled mess of beads. It’s time consuming, too. You could spend hours making one design only to run out of the exact shade of green you need with only three beads left to complete the project. Frustrating! 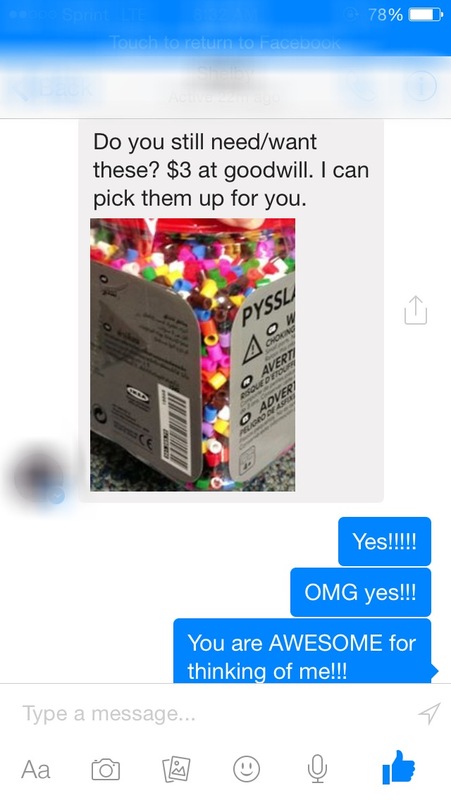 Understanding this, I posted a message on FB last week asking if anyone had any Perler beads they were willing to part with. We’d already dropped a chunk of change at Michael’s craft store purchasing single colored beads and I knew we would deplete our supply soon. Several friends liked my status, but no one had beads to share. That was fine, it was worth a shot to ask, right? God is so funny sometimes. I love how He meets our needs, even when the “need” is not really a need at all, but a want. God is so good! Perfect timing always! One of my friends actually paid attention to my request. She thought of me while out shopping. She took time out of her day for ME. She wrote me a message. Spent her own money to buy me something she knew I wanted. Used her own gas to drive to my house. She expected nothing in return. When was the last time you were cared for like this? She could have just as easily walked away from those beads thinking, “Oh look – I just saw that on someone’s FB post the other day.” But she didn’t. She listened to the whisper on her heart and went out of her way to make it happen. Those beads blessed my world in immeasurable ways. They allowed me to share in life lesson moments with my son! The morning after the surprise delivery, we were back at it again, making projects left and right. 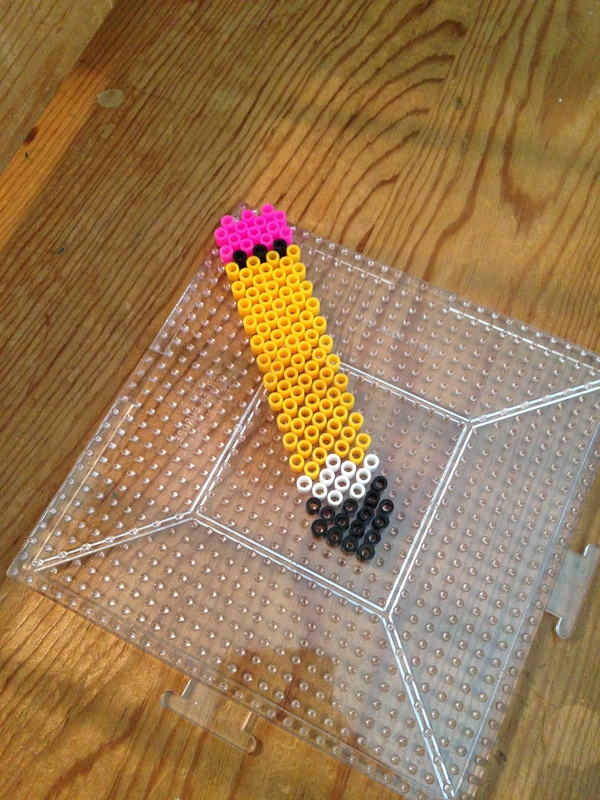 My son saw a picture of a pencil in his design book and decided that would be our next creation. We spent the next hour delighting in our joy of not having to count out beads, knowing whatever color we needed would be in our brand new bucket! The pencil is in the middle, far left. Then it happened. Disaster. 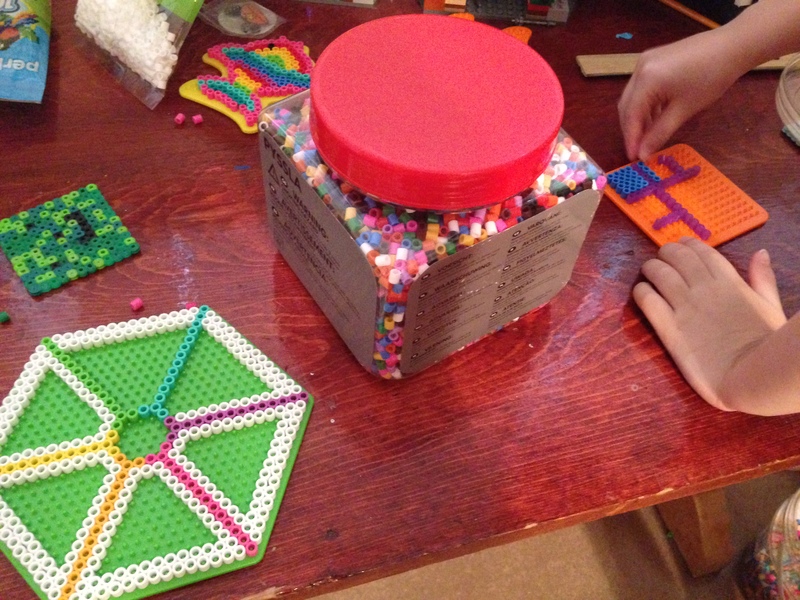 While carefully carrying his completed project to the wooden bench to iron, his little fingers shifted the wrong way and down came the plastic grid. HARD. It was a pivotal moment for a life lesson. How do YOU handle the frustration of working so diligently on a single task only to have your project/ideas/thoughts crushed by one single event? A life lesson indeed. He immediately looked to me for my reaction. I knew he wanted to scream. Cry. Kick. I could see the range of emotions pass like a lightning streak through his crystal clear blue eyes. But in that moment I saw something else as well. The need to know that everything was going to be OK. Acknowledgment. Reassurance. Kindness. We all need those things at different times, don’t we? My blue eyes met his, our shared DNA reflecting his pain. “Awwww man! It’s no big deal, bud. Mommy can help you fix it. Ain’t nothing but a thing.” I smiled my southern smile allowing my dad’s cliche for life to pass from one generation to the next. And fix it, we did…. 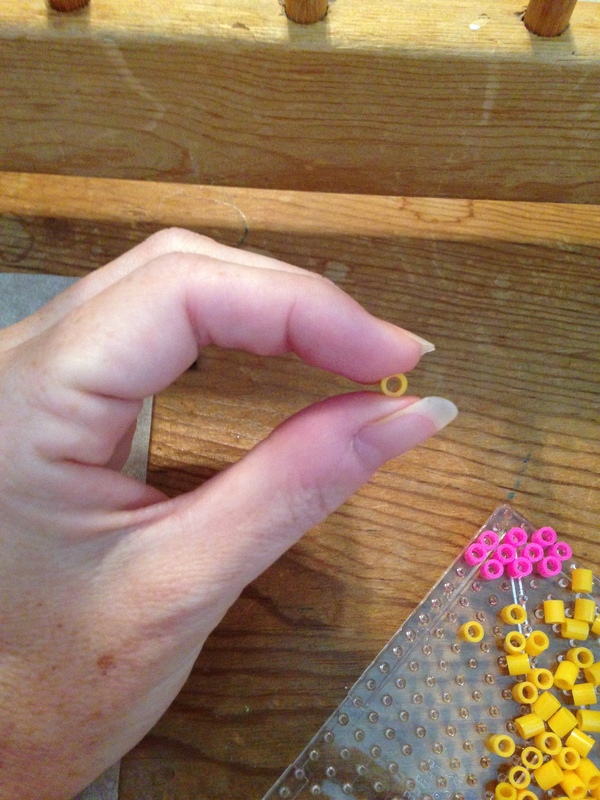 one bead at a time.